Whilst you stay with us at our farmhouse B&B, there is so much you can do and see. Hengistbury Head is one of those places. 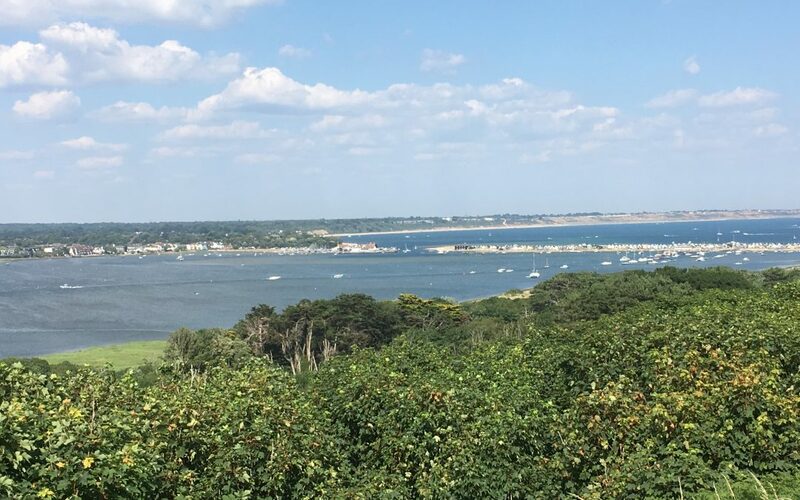 It is a headland jutting into the English Channel between Bournemouth and Mudeford and very near the town of Christchurch. It is a great place to explore whilst visiting Dorset – for open spaces, kite flying, picnics, views, walks, geology, history, the beach, and generally a fantastic day out. It only takes about 50 minutes to drive there and is well worth the effort. Apart from paying for the car park and maybe an ice cream, the day is free!